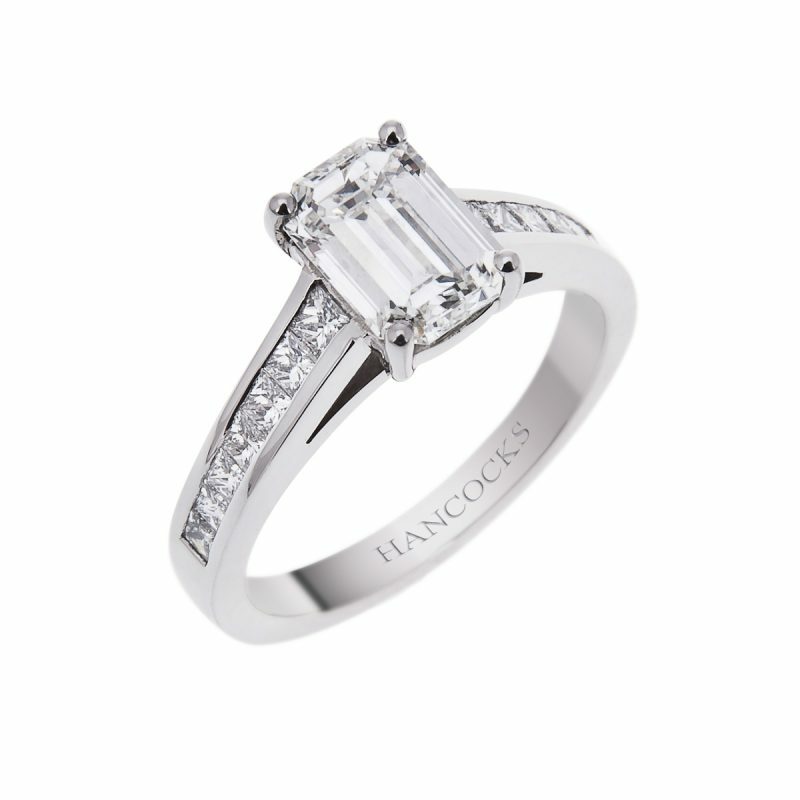 Enjoy the elegant classic styling of this stunning GIA Certificated 0.54ct emerald cut diamond single stone ring, hand crafted in a platinum claw setting. 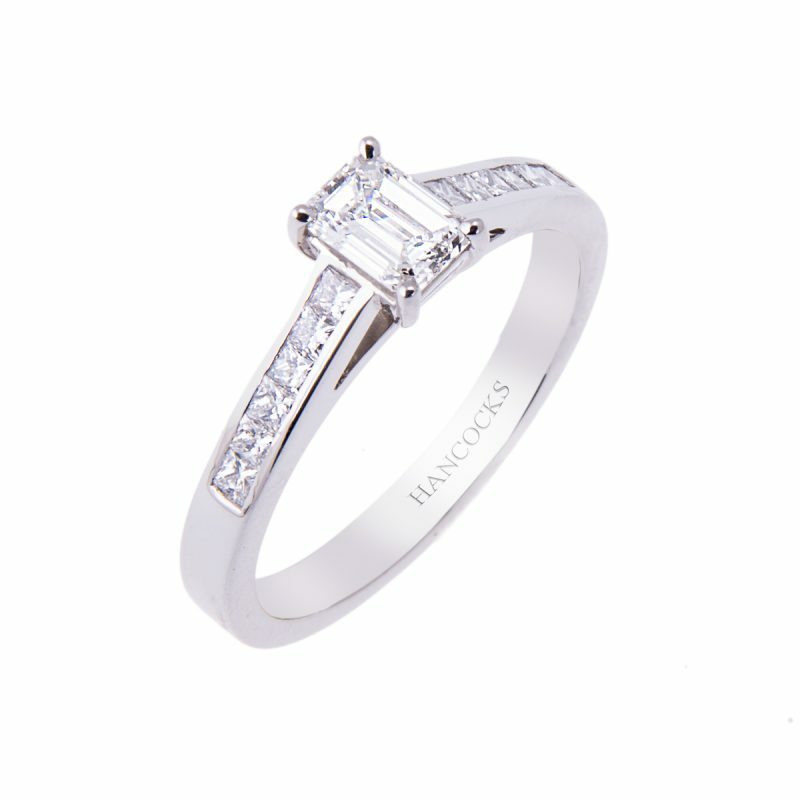 Its central diamond beautifully accentuated by a row of channel set princess cut diamonds on both shoulders. 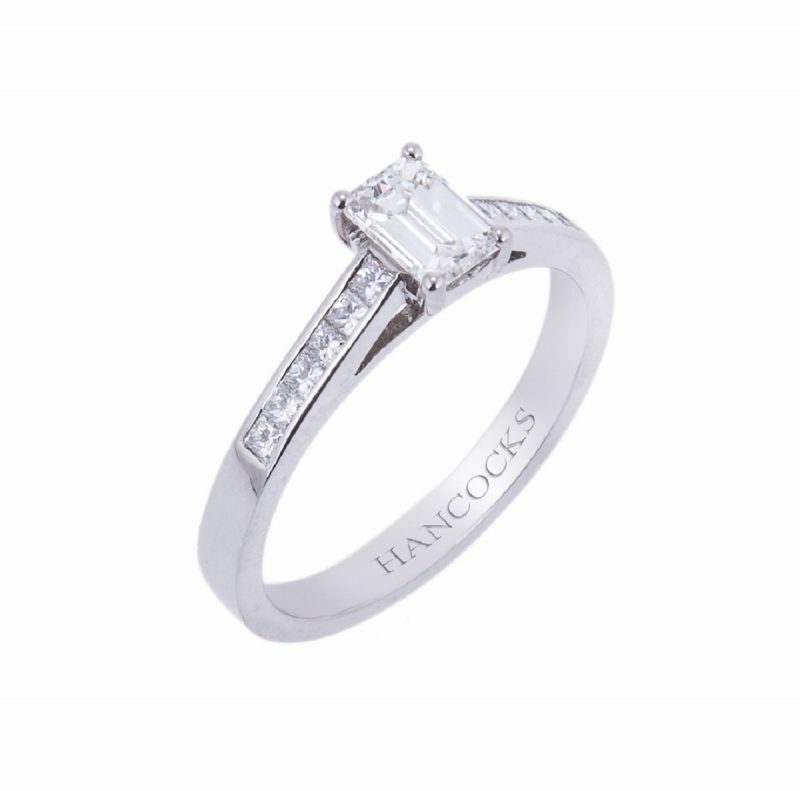 The understated look of this cut will suit lovers of vintage design. 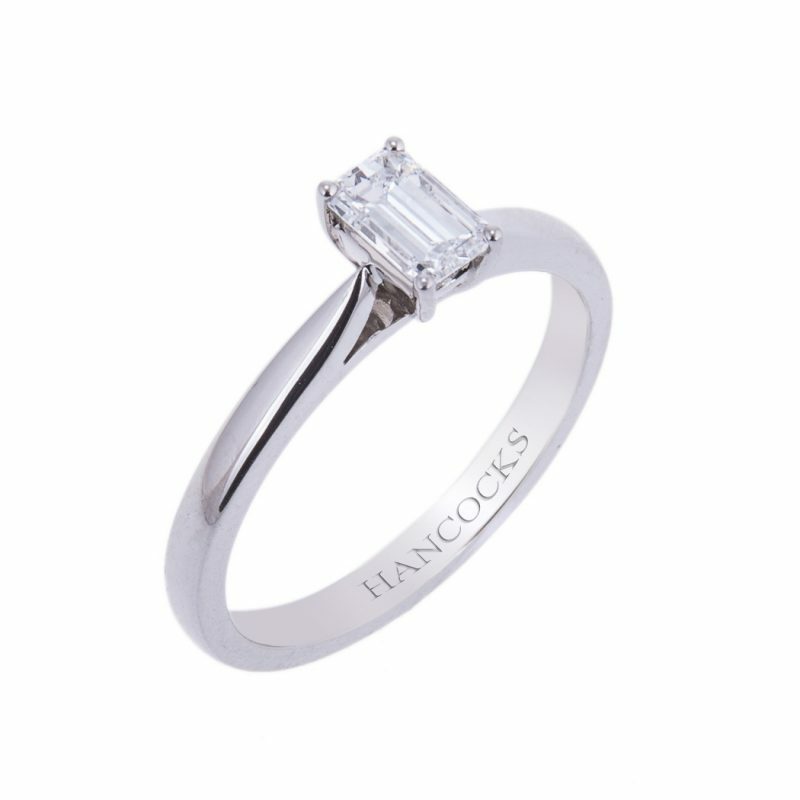 Emerald cut diamonds are less forgiving than other cuts, any inclusions or hint of colour can be magnified. 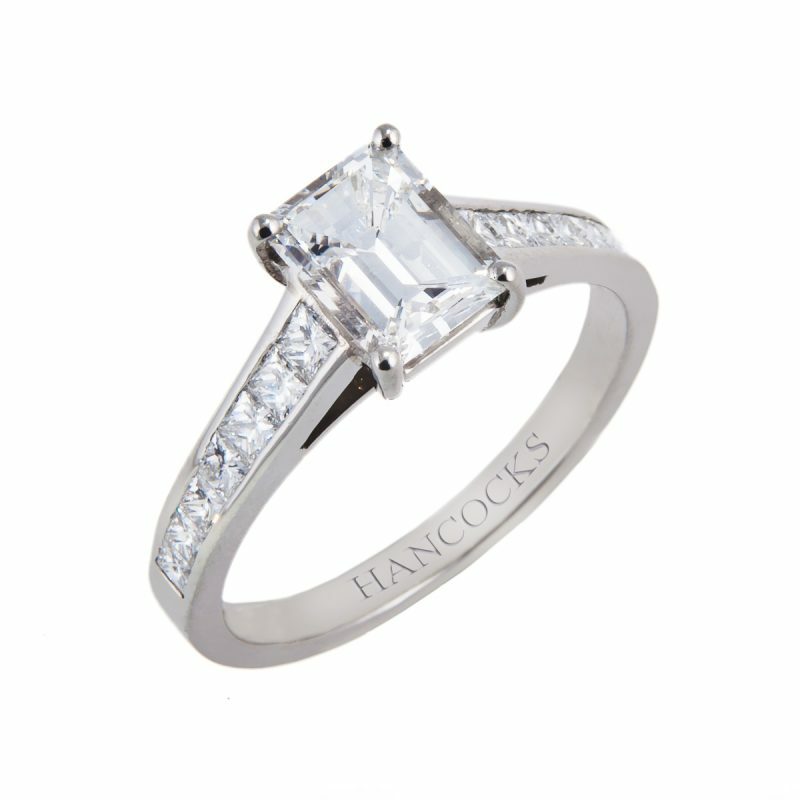 For this reason, it is imperative that you choose a stone of the highest colour and clarity.